Annual Message to Congress with Documents; Pres. Grant. 5 Dec. HED 1, 44-2, v1-5, 7574p. [1741-1751] Hostilities in the Black Hills caused by the avarice of the white man in his search for gold; cession of the Black Hills; annual report of the Sec. of War (Serials 1742-1747); annual report of the Sec. 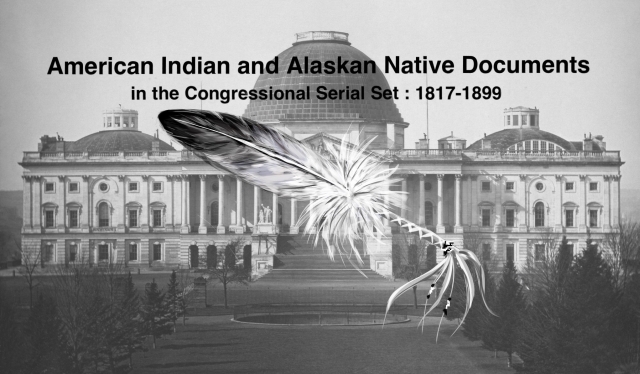 of Interior (Serials 1749-1750); annual report of the Gen. Land Office (Serial 1749); annual report of the CIA (Serial 1749), including allotments of reservations, Indian Territory, the Sioux Commission of 1876, the Sioux war, the Nez Perce Commission, and reports of Supts., agents, schools, and farms; etc.